May 14, 2010 -- Dr. Carole Cramer, the founding executive director of the Arkansas Biosciences Institute (ABI) at Arkansas State University, will step down from that position, effective May 15. Cramer will remain at the university as a full-time faculty member and redirect her energies to research, teaching and other responsibilities as a university professor. Dr. Michael Dockter, associate vice chancellor for Research and Technology Transfer, will serve as the interim ABI executive director until a national search for a replacement is conducted and the position is filled. The Arkansas Biosciences Institute was created as a research component of the Tobacco Settlement Proceeds Act of 2000 and includes the research efforts of five institutions through agricultural and medical research in order to improve the health of the people of Arkansas. The five institutions include ABI at Arkansas State University, Arkansas Children’s Hospital, University of Arkansas-Fayetteville, University of Arkansas Division of Agriculture, and the University of Arkansas for Medical Sciences. Scientists from these member organizations concentrate on scientific research in agriculture, medicine and other related areas that will lead to health improvement, especially in the area of tobacco-related diseases. “We want to thank Dr. Cramer for her leadership during the formative stages of the Arkansas Biosciences Institute and look forward to having her as a full-time faculty member on our campus,” said Dr. Glen Jones, senior associate vice chancellor. Cramer came to ASU from Virginia Tech upon being named executive director of ABI in 2004. Well-known in the field of biotechnology, she is also recognized internationally as a leader in the area of plant-made pharmaceuticals. 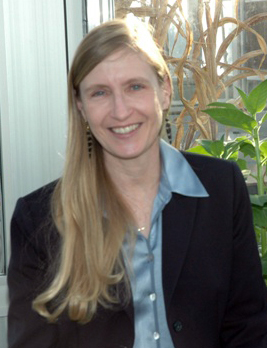 She has done extensive research involving the use of tobacco plants to produce therapeutic proteins and vaccine components for medical and veterinary applications. Her previous discoveries are expected to result in the first plant-made therapeutic protein to attain FDA approval for human use later this year. Her return to a major research focus will enable her to participate fully in this emerging breakthrough. “I am indebted to Arkansas State University for giving me this unique opportunity for leadership and the confidence and support that was needed to get this program started,” said Dr. Cramer. “I am proud of our accomplishments and the cross-disciplinary collaborative research environment that we have built. But, like all successful startups, the future of ABI should now be served by passing this responsibility to others."